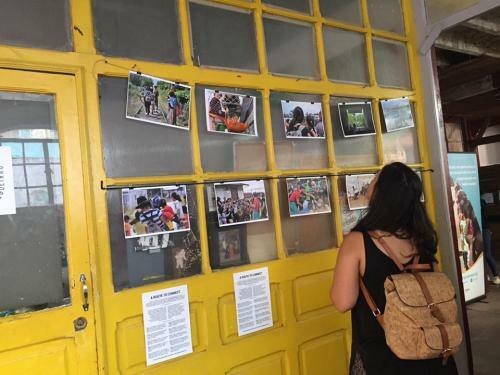 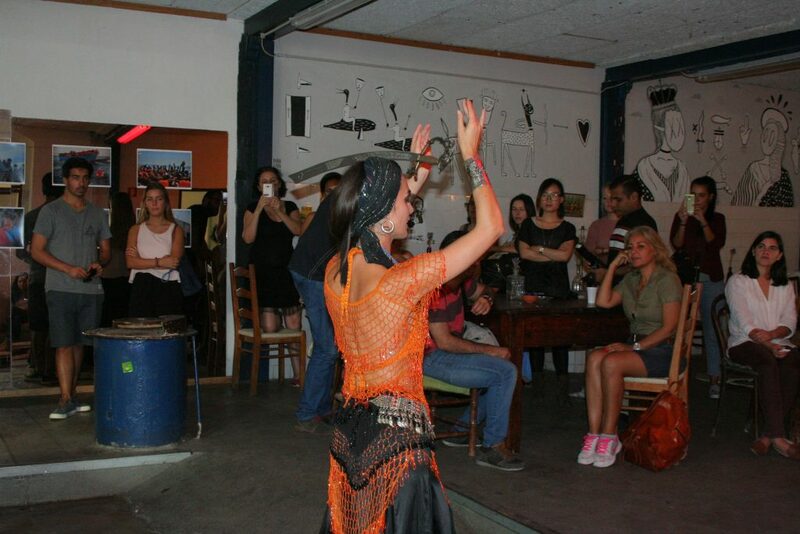 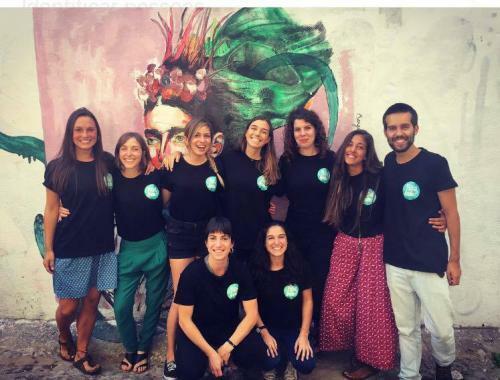 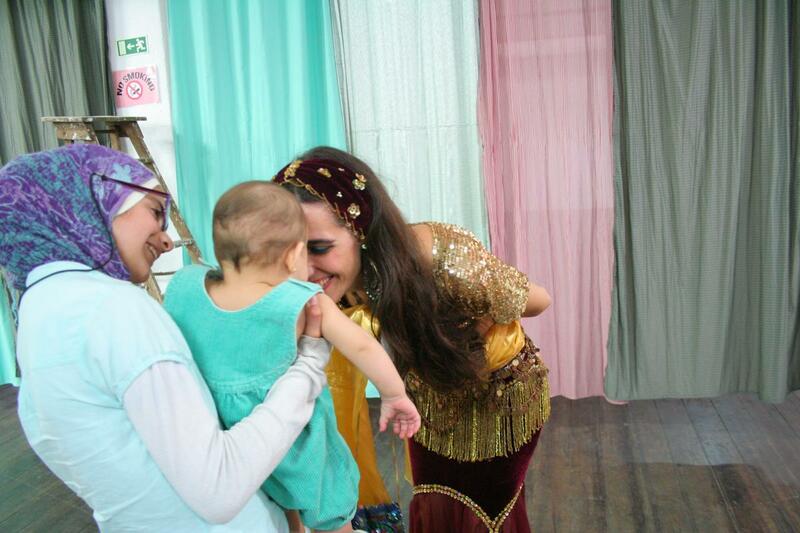 The event was called “Cultural Refuge” and took place on October 28th at Anjos70, a cultural alternative space in a very multicultural area in Lisbon. It was a shiny day and me and a group of 8 volunteering staff arrived early to the venue to prepare everything: move tables and chairs around, create lounge areas, a children’s corner, set the 3 photo exhibitions (Route to Connect / Proactiva Open Arms / Joel Bergner) and get ready to welcome the projects around 11:00. 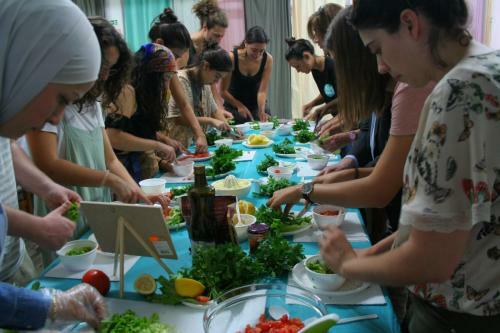 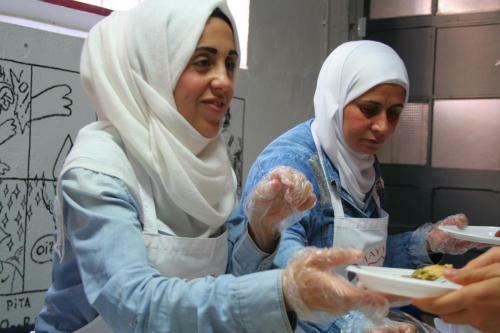 “Tayybeh” is a food project of 3 Syrian women that sells Syrian food, does catering for events and did their first 2 cooking workshops at the event, for 15 participants each. 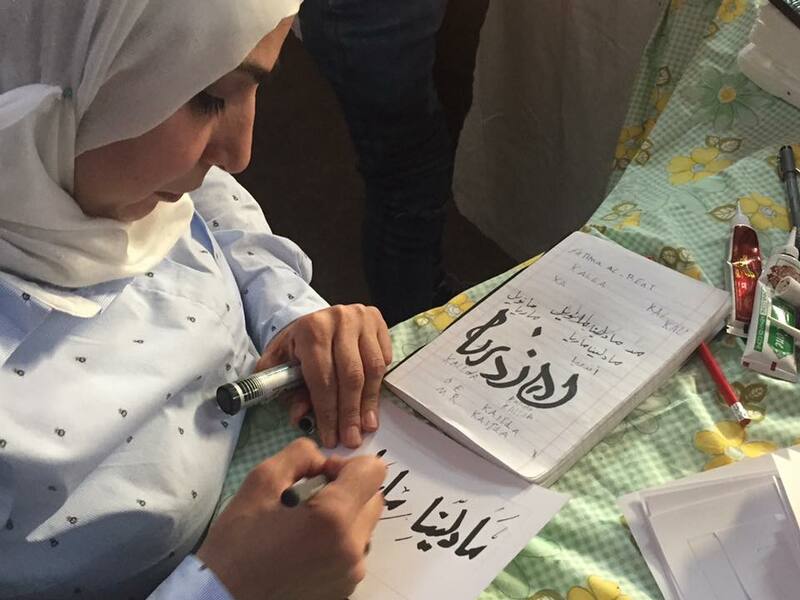 “Arabic Hands” is a project of 4 Syrians that do henna tattoo, write people’s names in Arabic and sell wool goods. 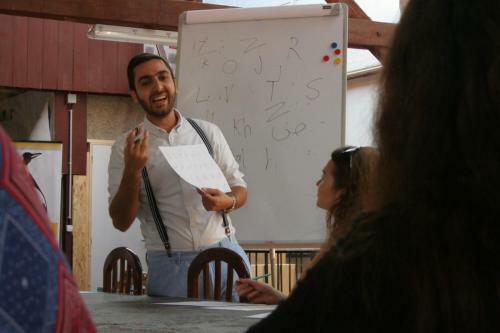 The Arabic teacher belongs to this project and he gave 4 classes of Arabic Language of more than 1 hour for 15 participants each. 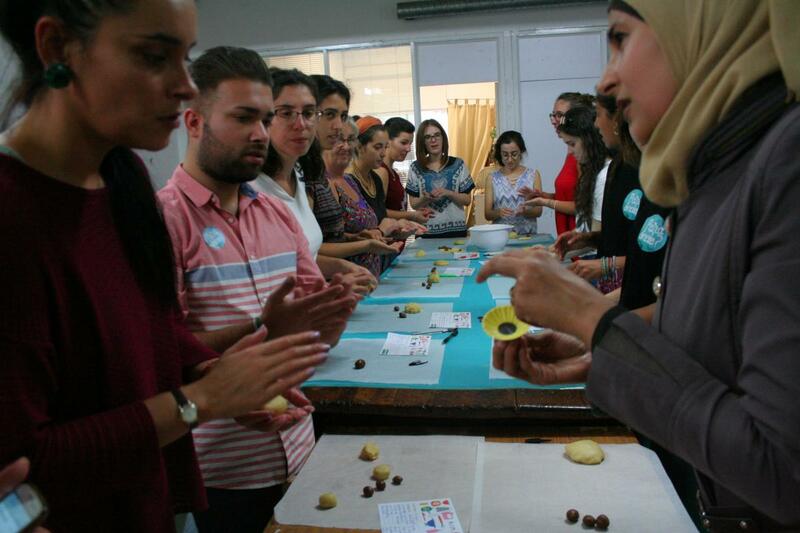 “Amal Soap“ project belongs to a family that produces Aleppo soap to sell but they are also great in baking cookies, so they were selling both and they gave a workshop for 15 participants, filling the room with a great smell. 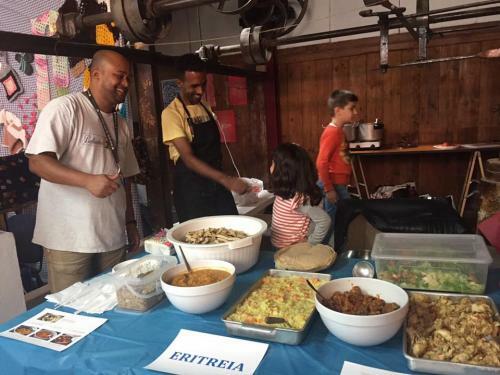 “Marhaba” is a cooking project with a Syrian team and an Eritrean team that sold food; the Eritrean team also gave a cooking workshop. 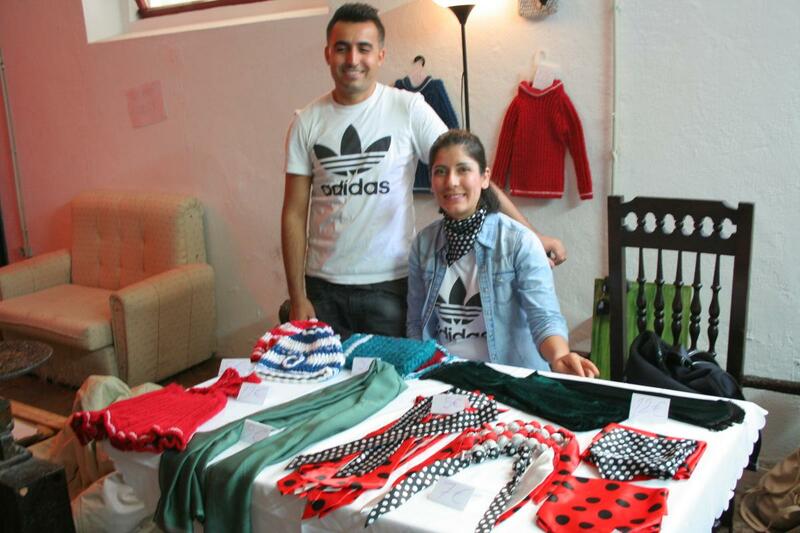 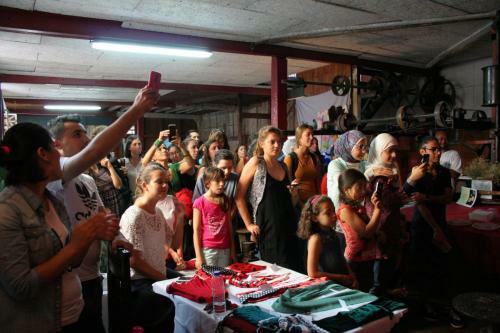 On the event was a Syrian couple of tailors that arrived in Portugal less than a month ago that were selling wool and other handmade goods. 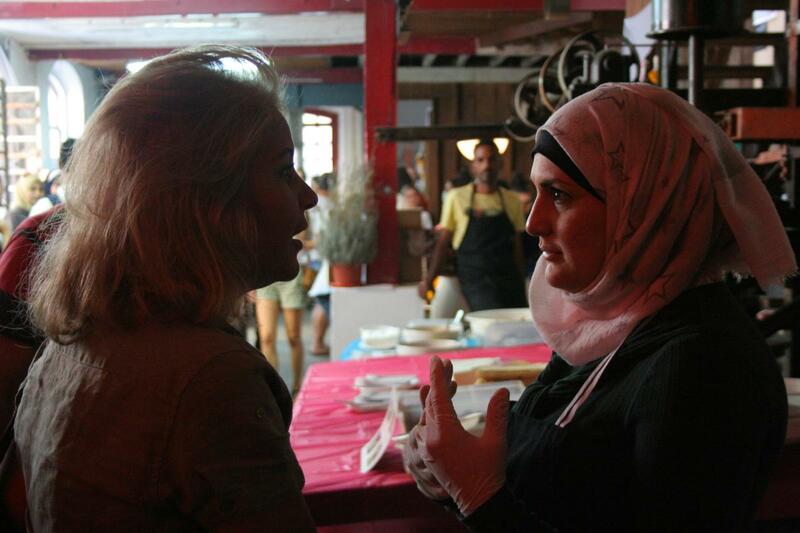 Also, feel free to check out the facebook event and an article written on Portugese related to it.